Just Beautiful ! Majestic ! Beautiful capture of this magnificent creation! 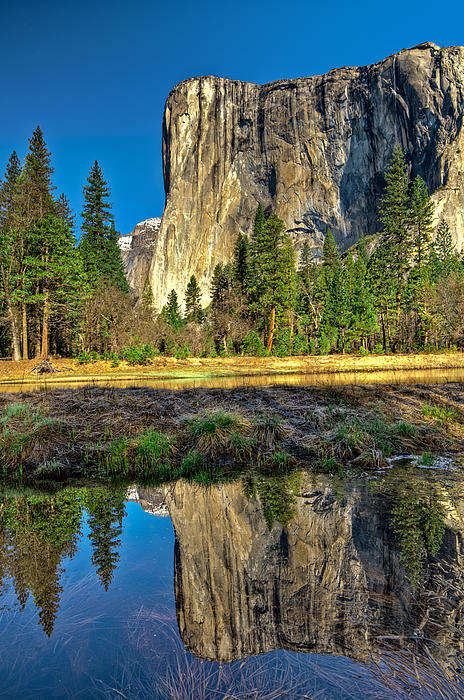 A very stunning image of El Cap! 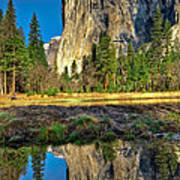 El Capitanin Yosemite National Park. It is the best-known of a collection of preserved wild lands in California's Sierra Nevada, a spectacular mountain range near California's border with the state of Nevada. 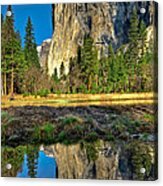 Yosemite National Park's fame is mostly due to the striking beauty of Yosemite Valley, whose flat floor contrasts with nearly vertical granite walls over which pour several major waterfalls. In addition to the Valley, Yosemite includes an extensive high-mountain wilderness of mountain peaks, rivers, and meadows, and groves of giant sequoia trees. 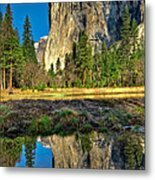 Yosemite National Park lands extend from 2000 feet (600m) to more than 13,000 feet (3900m) above sea level and cover about 761,266 acres (308,000 hectares), or about 1,189 square miles. Proceeds from the sale of this photograph goes to help orphaned and abandoned children in Colombia South America.